The builder who will construct the Gordie Howe International Bridge between Windsor and Detroit was announced today in Windsor, Ont. The preferred proponent 'Bridging North America' will soon start construction on an 853 metre cable-stayed span, being touted by Windsor Detroit Bridge Authority officials as the longest cable-stayed bridge in North America. WDBA communications director Mark Butler says "it's going to be as tall as the Ren Center," one of most prominent buildings on Detroit's skyline. The bridge design and successful proponent of the public-private-partnership procurement process was announced by Windsor-Detroit Bridge Authority CAO Andre Juneau and board chair Dwight Duncan. "We're proceeding to build this link," said Duncan, when asked about lawsuits involving the soon-to-be competing Ambassador Bridge. "We've been challenged in court some 25 times. I think we've won every lawsuit." "We will bring every effort to bare on making sure this project continues. This is really the beginning of the end. Now the construction starts," Doncan said. 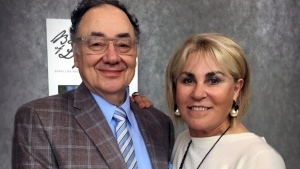 "I can assure you that the governments of Canada and Michigan remain committed." 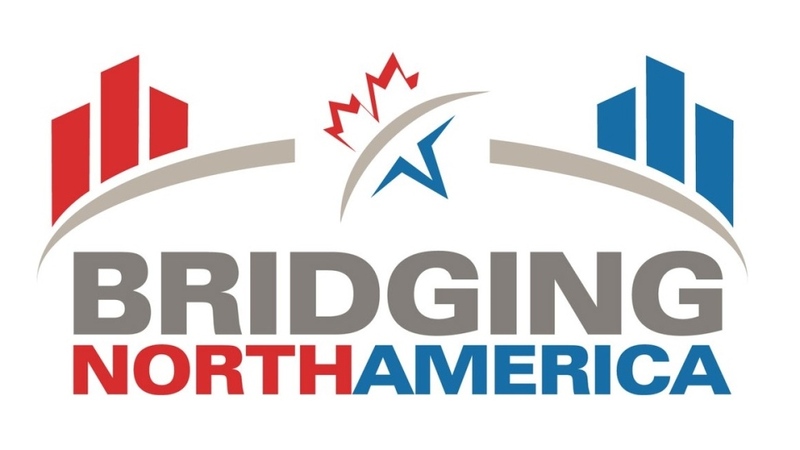 Bridging North America is a consortium made up of more than a dozen companies from different countries including Canada, Spain and the United States. The group is headed up by ACS infrastructure, Fluor Corporation and Dragados Canada. DBI Services, which does maintenance and repairs on the Herb Gray Parkway, is also included in this group. Many of these companies had a hand in the construction of the Herb Gray Parkway that will ultimately connect Highway 401 to the Gordie Howe Bridge. Bridging North America will also be charged with financing and operating the bridge. Government officials on both sides of the border were very pleased to reach the major milestone. “The Government of Canada is making investments that will help create good middle-class jobs, promote trade and productivity, and grow the economy," said Amarjeet Sohi, Canada's minister of Infrastructure. 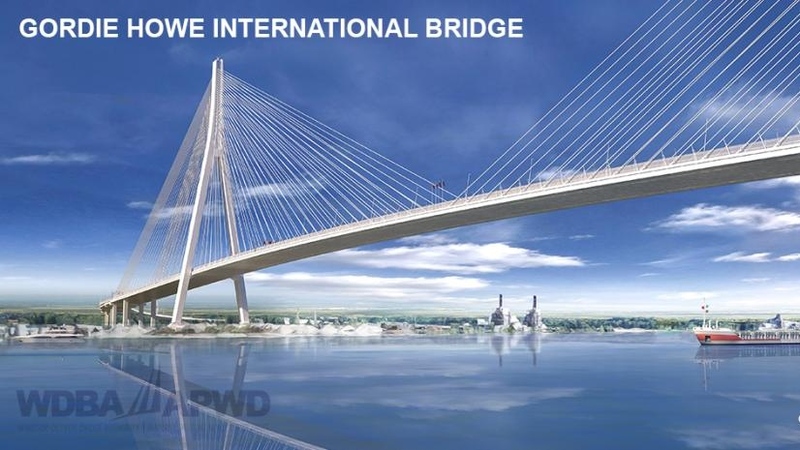 "The Gordie Howe International Bridge will support economic growth by improving connections between Canada and the U.S., enabling the continuous flow of people and goods through a safe, secure and efficient Windsor-Detroit trade corridor." “The Gordie Howe International Bridge project at the Detroit-Windsor crossing will be a towering symbol of the peace and prosperity shared by Michigan and Canada, our most vital trading partner. Today’s naming of the team that will build the six-lane span easily ranks among this historic project’s biggest milestones,” said Michigan Gov. Rick Snyder. “The announcement means that the complicated and competitive procurement process spearheaded by Windsor-Detroit Bridge Authority has worked. Significant advanced construction on the bridge can now begin this summer, marking another critical milestone for this vital trade corridor." Three proponents in total were short-listed for the project to build the multi-billion dollar bridge between Windsor and Detroit, including CanAm Gateway Partners and Legacy Link Partners. 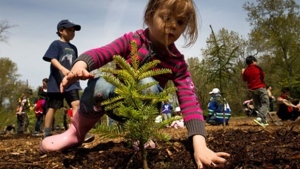 Work is already underway at the Canadian Port of Entries in both Canada and the United States. Advanced construction activities in the United States are scheduled to begin after the announcement is made and the official start of construction of the new bridge will begin later this year. The project cost will not be announced until the fall, after the financial close. Construction is expected to create thousands of jobs on both sides of the border. The Government of Canada appointed a new CEO of the Bridge Authority last week, naming Mr. Bryce Phillips to the position on a full-time basis. He replaces interim CEO Andre Juneau, who had been serving in that capacity since December 2017. 25 per cent of trade between Canada and the United States crosses the border at Windsor and Detroit.